Ladies Grease Pink Ladies jacket - size small (would fit a size 8 perfectly). Been worn before but still in great condition. From a pet and smoke free home. Check out my other items - I’ll combine postage on multiple purchases. Message me with any questions! Grease pink ladies jacket with sunglasses . Condition is Used. Dispatched with Royal Mail 1st Class. 1940's Auburn Wig. EVERY item is checked by hand prior to dispatch.Read MoreRead More. Got a Hen party planned?. Brand New jacket and glasses. I'd say it's about a size 12. 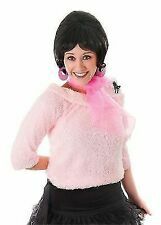 Ladies Licensed Grease Pink Lady 50s Bowling Fancy Dress . Condition is Used. Dispatched with Royal Mail 2nd Class Large Letter. Thin cotton lightweight pink ladies top from the film Grease. Best fit size 8 or 10. Shown on 5'4 size 12 for reference. In good condition. New ladies Rocker Diva fancy dress Dress, belt, necklace and headband Size 12/14 No original packaging Please note that I will combine postage on multiple item orders (that are not part of the Global Shipping Program) to keep your shipping costs as low as possible. Please refer to my profile for the other items we have available. Items will only be shipped to countries outside of the United Kingdom via eBay’s Global Shipping Program. If you are not resident in the UK then please do not bid/order unless you are subscribed to eBay GSP. Thank you. 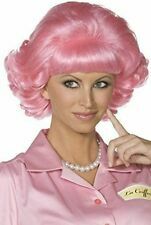 FANCY DRESS WIG # PINK LADIES GREASE FRENCHY PINK WIG. 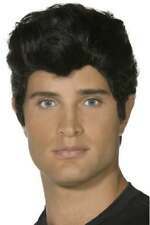 1950s FANCY DRESS WIG # GREASE LICENSED DANNY WIG. Ladies Butterfly Queen fancy dress with wings and headpiece Size 8/10 Please note that I will combine postage on multiple item orders (that are not part of the Global Shipping Program) to keep your shipping costs as low as possible. Please refer to my profile for the other items we have available. Items will only be shipped to countries outside of the United Kingdom via eBay’s Global Shipping Program. If you are not resident in the UK then please do not bid/order unless you are subscribed to eBay GSP. Thank you. Pink Lady Bowling Bag, Pink, with Logo. Credit Cards are also accepted by phone. 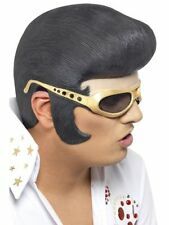 Grease T-Bird Jacket, Adult Fancy Dress. Bought from Smiffy’s for £39.99 for Halloween. Only used it the once. Perfect condition. comes in the original smiffys outfit bag. Posted 2nd class signed for. Grease Pink Lady Bowling Bag. Colour: Pink. 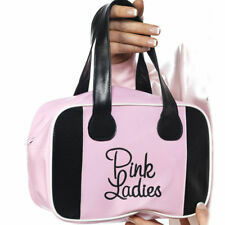 This Pink Ladies bag is great for the fans of the show wanting to dress up. It’s a combination of both utility and pure Halloween bonanza. Perfect for all the romance genre fans, going out in this you’ll feel like you’re going through school again.